Aeromi : Hi, please introduce yourself. Invasion eSport staff : We are an association under the 1901 law, there is 5 people who are truly passionate about eSport and we want to create a pro team. Aeromi : Ok, you are an association and you decided to create a team. How do you pay your players at the moment, you don't have any sponsors yet. Invasion eSport staff : You are wrong, we have a sponsor but I think people did not understand that we had one. We are supported by a family office. The family office is supporting the team because they love eSport. We can't say much about them because they are selling alcohol and it's forbidden to promote alcohol in the eSport world and in France. We also have a sponsor, it's a French company working on open source website. The name of the company is LibrIT and here's the website : http://www.librit.fr We are also talking with other sponsors. Aeromi : Ok ! So with the help of this company you are able to pay your players. By the way, what do you want to do in eSport in a year ? Invasion eSport played some French team leagues such as French ProLeague or Pandaria but I think that now with your korean players you aim to play in a better league. 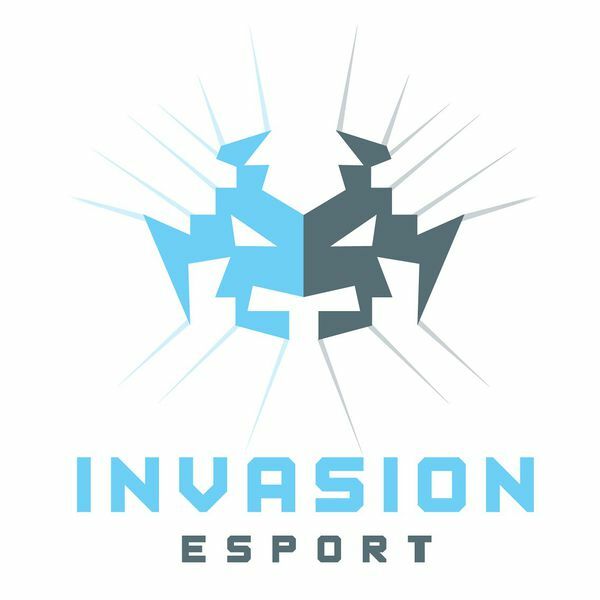 Invasion eSport staff : Our objective is to help the french and european scene. Our korean team is for an other type of tournament. We can't say which is the next step but we can confirme that many of our players are going to play in a premier tournament. We are also talking with some tournaments to have our players invited. Aeromi : Does that mean that korean players are going to have a gaming house ? Other players than Gumiho are going to play ProLeague ? Invasion eSport staff : We are still thinking about it. Some players are going to live together and share a flat to focus more on the game. If we are able to bring our korean players to WCS Europe we'll consider the opportunity. Aeromi : How do you plan to ask for a working visa with a proper contract when you are only an association ? Is this a serious projet or more a small talk ? And moreover, where do you want your player to live in Europe ? Invasion eSport staff : Maybe we are not going to ask for visa but a partner/sponsor is going to do it. It's still a project and we think of renting a house if we can bring korean players. Aeromi : Ok ! Let's focus on the french and european part of you team. What are the main goal for you team ? Invasion eSport staff : We provide a stable environement for a proper training, we want them to be better at the game. We are giving a salary for some players and we are paying LANs. They are not as good as koreans but we think that they have potential. Theo, our Danish player is not really known but he's very talented. Aeromi : Ok. What do you think of 99 % of French high level players who played against ImComingHome and they all told me that he's maphacking. Any thoughts ? Invasion eSport staff : First, we trust our player. We looked his replays and we did not see anything obvious, he's not a maphacker. YoGo, who is the main caster of Millenium with a GM level, checked his replays and he did not found an obvious maphack. ImComingHome used to play on the korean server and he was GM ( he lived in Asia ). When he started to play on the european server, people where surprised to lose against an unknown player. A French manager tried to recruit him but ImComingHome did not find the team really friendly. The day after the rumor about him being a maphacker started. French players are insulting our player and we are really sad about it. Aeromi : How do you explain the fact that the whole French scene is against him ? It's not only a French team, even some Polish players said that he's hacking. And the polish guy is not event playing for a French team. Invasion eSport staff : It's a drama. People are mad to lose and easier to say than he's map hacking more than saying that he's a better player. If people want to prove that ImComingHome is maphacking feel free to find an obvious maphack by our player. Aeromi : Some admins checked some replays and they said that he had some very suspicious plays. Let's talk about your website. Why is your website not updated ? Invasion eSport staff : Our players are the main priority. We want them to be happy about the team and to feel good. We want them to play tournaments so we only focused on this point. Aeromi : Ok. Let's talk about your official Facebook page and Twitter account. You had a 20 000 % raise of likes and it's mostlry mexican guy liking the page while your Twitter account if full of greeks/russian girls. You also bought RT and favs. Can you explain it ? Invasion eSport staff : We are very ashamed of it. One guy on our team, a volunteer, wanted to help us and thought it was a good idea. We tried to contact Facebook and Twitter but we did not receiv anything. We have to admit that it was a mistake. We are sorry about it. Aeromi : Do you confirm that you did it on purpose ? Invasion eSport staff : Yes we do. Aeromi : Can you talk abour your relationship with GEM ? Invasion eSport staff : One of our player is a player from GEM. GEM contacted us to talk about Super and we decided to recruit him. We have a good and strong relationship with GEM even though we are not working with the company everyday. Aeromi : How do you explain the fact that GEM decided to contact your team ? You were an underrated team, no social media, you were playing some french team leagues. Is there a hidden relationship between GEMand you ? Invasion eSport staff : The eSport world is small in Seoul, Noblesse was looking for a team and we decided to recruit him. When he decided to retire he told to korean players that we are a stable and serious team. TAiLS and Super are friend with Noblesse because they used to live together when they played for MVP. Some really good players wanted to join our team but they were asking a big salary. For TOP and BBoongBBong we talked to them. Aeromi : Ok, last question ! ImComingHome said during an interview that he was 22 but his Twitter and Facebook show that he's 28. Is he really 28 ? Or 22 ? Invasion eSport staff : I can confirm that he's 28. We met him several times and he's 28. Aeromi : Ok, the interview is over, feel free to say something. Invasion eSport staff : We hope that with this interview people are going to know who we are. We are trying to be open to people. Feel free to ask us questions on https://www.facebook.com/invasionesport or https://twitter.com/InvEsport mexican and greeks girls are going to read your questions. Lol, pretty sure ToD had a blast filling Nathanias up in front of the stream! On November 12 2014 09:09 Aeromi wrote:Invasion eSport staff : The eSport world is small in Seoul, Noblesse was looking for a team and we decided to recruit him. When he decided to retire he told to korean players that we are a stable and serious team. TAiLS and Super are friend with Noblesse because they used to live together when they played for MVP. Some really good players wanted to goin our team but they were asking a big salary. For TOP and BBoongBBong we talked to them. The most encouraging thing in the entire interview. You know what answer I would have liked re: Koreans staying in a gaming house? "Man, are you crazy?! Do you know how expensive that is?!" so dodgy and they clearly have no idea what they're doing "maybe we'll do this/that" and vague answer on income. Big problem here seems to be blind faith. Faith in their volunteer to handle their social media, something crucially important for any business in a 21st-century industry, faith in ImComingHome to be honest despite the claims against him, and most importantly, faith in their sponsor to stay consistent in their support of the team - faith enough that they were willing to keep that sponsor's identity hidden initially, leading to serious suspicions about the team's legitimacy. That kind of faith makes sense for brand new business owners, but these folks seem like they don't realize how far over their heads they've put themselves in. As expected, the good doctor asked all the right questions. I'm cautiously optimistic, but the cloud of suspicion is certainly not lifted completely - not yet. As long as they keep the lines of communication open, I think they will do fine. I don't like the "family office is supporting the team because they love eSport" sponsor, because that love of eSports will not last forever. Why would someone sponsor a team, but they can't advertise that sponsorship? There is no roi. The other sponsor seems promising. A software service company can put its name on a team (e.g. Bison), and esports is a great place to market software. Thanks for doing the interview Aeromi, and thanks to Invasion for finally communicating with us. Just fyi libriT is a 2man company, one of which is the guy which answered aeromi's questions (https://twitter.com/_r1_). Huge sponsor to pay lan travel for Gumi and Super I guess. Other players than Gumiho are going to play play ProLeague ? Well, that's kind of a bit reassuring, I could buy the "we're late on schedule and focusing on players" thing. This is interesting though, that one of their main sponsor is something they can't really advertise. That's cool to see sponsorship that's in it for the love of eSports. It's cool also to see they're quite frank, especially regarding the fav/rt scandal. It would've been quite worrying if they'd try to deny or even distract attention from it. Now... hoping it goes well in the long run. That interview didn't make them look more legitimate in my eyes. Well at least they are willing to talk. I will give the the benefit of the doubt for now, thanks for the interview! Hey guys! this is Based_Bali, I am the manager of GuMiho, I am taking care personally of him and he sign a good contract wich gives him what he wants, the team is trusted as far as I know, they were so nice with me and the other guys so at the mmomment there is nothing to worry, they will made a statement soon, also they will update a new webpage as soon is done, you willl see how Invasion eSport will not do anything bad to the guys and we will see them on tournaments. and the fact that they bought rt/fav and one of their player maphacks is a sure sign they're legit? you don't know very far it seems. And here Invasion's manager (we don't even know who he is btw, he doesn't even give his name/ID or role in the team lol. How professional) is saying his player is not a maphacker. Something's wrong here. Second thing that worries me is the family selling alcohol thing. Yes, French laws forbid publicity for alcohol/tobacco brands when it's through a sponsorship, but it's not a Prohibition era-level of forbidness. Which means that it wouldn't be problematic to give away the name of the sponsor in a small interview like that, and that also means that they could still show their sponsor with a modified logo, like alcohol and tobacco companies have been doing in France since this law was voted. It also means that in other countries than France, it would be OK to show their sponsor ; so unless I'm missing something here, it would be OK to have this sponsor on their team shirts etc when travelling to non-French events (unless Twitch forbids alcohol too?). Thanks for the interview though. I wonder what are your personal thoughts on Invasion now? I'm still sospicious about them. "We are 5 guys that love eSport and we want a team"... meh. Usually teams don't grow in this way... Look mYi, they started with 1 korean (not a superstar-StarDust), he won a DH then jjakji joined, results were better and better so Sacsri joined, then they won 1 DH and 1 WCS Eu so also another korean, Rain, joined. This is the way for a team with korean to grow and be better and better. Starting with 5-6 koreans without experience in management is worrying. Who said there's one way to build a team? It's not because there's an example of a way to do it that every team has to follow it. We all think Inv is shady, but let's not go overboard and prevent them from accomplishing something if they're able to... (that, we still don't if they are). This is probably one of the best interviews I've read on an esports page. Big props to Aeromi for asking hard questions and actually getting information rather than the empty hyperbole we usually get.